Protein Blend (Organic Brown Rice Protein, Pea Protein), Isomalto-Oligosaccharides (Prebiotic Fiber), Glycerine, Almonds, Cocoa Butter, Natural Flavor, Sea Salt, Water, Dried Blueberry Powder, Erythritol, Monk Fruit Extract, Stevia. Protein Blend (Brown Rice Protein, Pea Protein), Isomalto-Oligosaccharide (Prebiotic Fiber), Pecans, Vegetable Glycerine, Almonds, Cocoa Powder, Cocoa Butter, Natural Flavors, Water, Sea Salt, Erythritol, Monk Fruit Extrat, Stevia, Peanut Flour. Protein Blend (Brown Rice Protein, Pea Protein), Isomalto-Oligosaccharides, Glycerine, Almonds, Cocoa Nibs, Coconut, Palm Oil, Cocoa Butter, Cocoa (Processed with Alkali), Natural Flavor, Salt, Erythritol, Water, Peanut Butter (Peanuts, Salt, Palm Oil), Monk Fruit, Stevia Extract. PROTEIN BLEND (BROWN RICE PROTEIN, PEA PROTEIN), ISOMALTO-OLIGOSACCHARIDES* (PREBIOTIC FIBER), ROASTED COCOA NIBS, VEGETABLE GLYCERINE, ALMONDS, COCOA POWDER, COCOA BUTTER, WATER, SEA SALT, NATURAL FLAVOR, ERYTHRITOL, MONK FRUIT EXTRACT, STEVIA. Protein Blend (Brown Rice Protein, Pea Protein), Isomalto-Oligosaccharides, Peanut Butter (Peanut, Salt, Palm Oil), Glycerine, Peanut Flour, Palm Oil, Cocoa Butter, Natural Flavor, Water, Salt, Erythritol, Almonds, Monk Fruit, Stevia Extract. Protein Blend (Organic Brown Rice Protein, Pea Protein), Isomalto-Oligosaccharides (Prebiotic Fiber), Roasted Cocoa nibs, Vegetable Glycerine, Almonds, Cocoa Butter, Cocoa Powder, Natural Flavors, Water, Sea Salt, Erythritol, Monk Fruit Extract, Stevia. Protein Blend (Organic Brown Rice Protein, Pea Protein), Isomalto-Oligosaccharides (Prebiotic Fiber), Cocao Nibs, Almonds, Glycerine, Cocoa Powder, Nautral Flavors, Water, Sea Salt, Erythritol, Monk Fruit Extract, Stevia. Protein blend (brown rice protein, pea protein), isomalto-oligosaccharides (prebiotic fiber), glycerine, roasted cocoa nibs, peanut butter (peanuts, salt, palm oil), peanut oil, peanuts, cocoa butter, peanut flour, sea salt, erythritol, almonds, monk fruit extract, stevia. *Isomalto-Oligosaccharide are Prebiotic Fibers derived from plant sources. Protein blend: (organic brown rice protein, pea protein), isomalto-oligosaccharides*, (prebiotic fiber), cocao nibs, glycerin, almonds, cocoa butter, natural flavors, water, sea salt, erythritol, monk fruit extract, stevia. Contains almonds, produced on equipment that also processes soy, peanut, milk, wheat, egg and tree nuts. 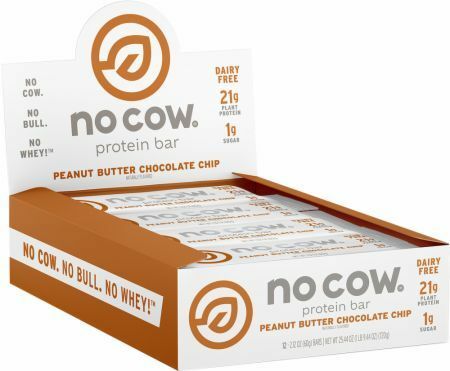 Protein Blend (Brown Rice Protein, Pea Protein), Isomalto-Oligosaccharides, Glycerine, Pea Protein Crisps (Pea Protein, Pea Starch, Rice Flour), Almonds, Cocoa Butter, Palm Oil, Natural Flavors, Salt, Erythritol, Water, Monk Fruit, Stevia Extract.